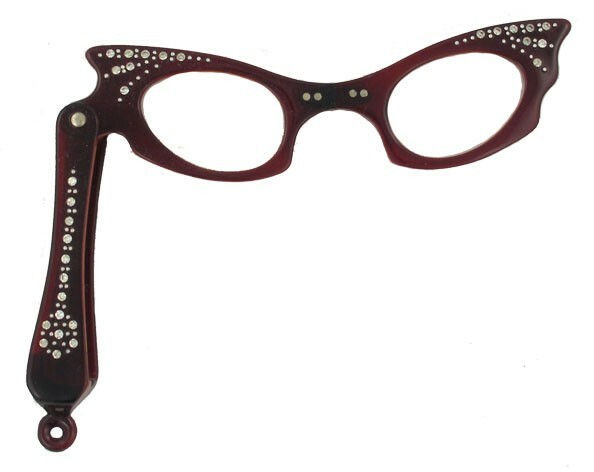 Folding lorgnette -Rhinestone decorated. Size (opened up: 4" x 2 1/2" folded: 2 1/2" x 1"). Lens power +300. 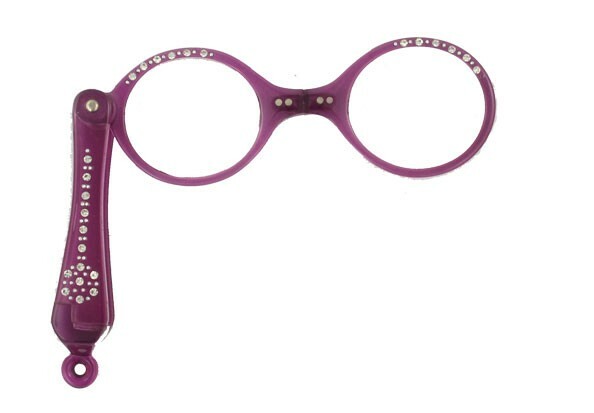 Hold lorgnette to your eyes and move reading material to focus. 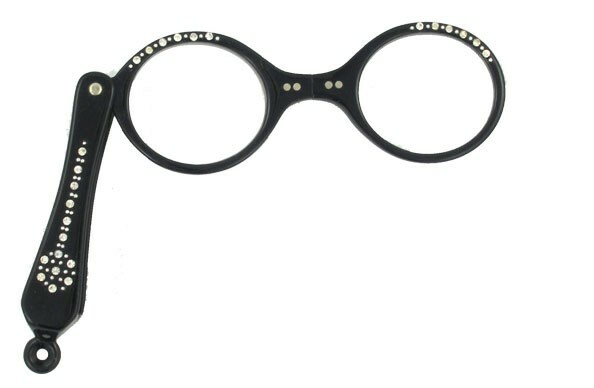 Each lorgnette folds in half at the bridge and then folds again into the handle. Neat! 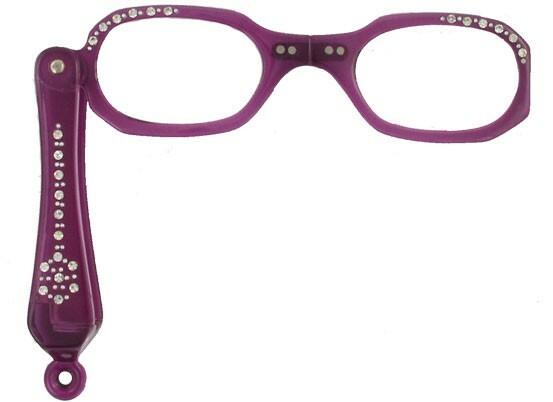 Tastefully decorated with clear rhinestones for a festive & rich look. 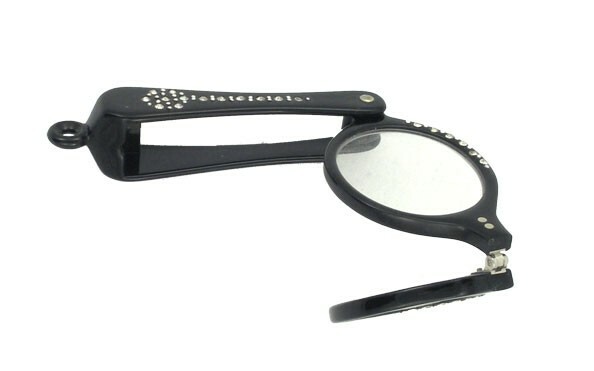 An attractive reading tool for a fast glance at a menu, a program or the hard to read price tag. 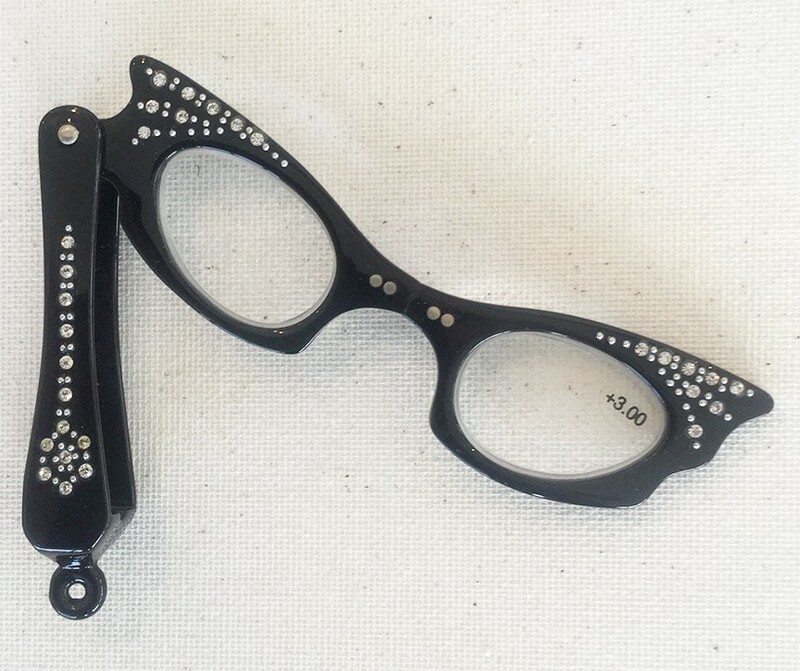 This unique folding lorgnette will be well appreciated as a gift for mom, to a friend or to yourself. Packed in a little pouch.